AN-STM1/SM is an interface converter for STM-1 electrical and optical interface conversion. It is designed for the SDH equipment coaxial interface and optical interface interconnect, as well as the ATM 155.520 Mbps interface and SDH device interconnection. Supports local and remote loop-back on electrical or optical interface for system diagnostic. 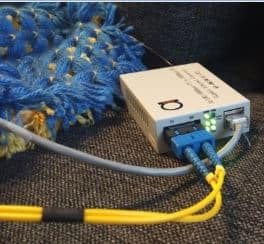 Suitable for SDH and ATM 155.52 Mbps interface interconnection. AN-STM1/SM is an STM-1 converter for STM-1 electrical and optical interface conversion. 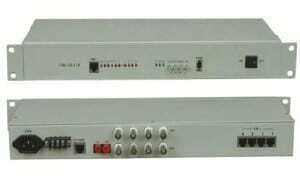 It is designed for the SDH equipment coaxial interface and optical interface interconnect, as well as the ATM 155.520 Mbps interface and SDH device interconnection. Now available in WDM (single fiber version)! Complete loop-back facility is supported for system diagnostic and commissioning. Compact casing and simple operation achieve the cost saving and investment protected.